Roy Kelly’s work appears from time to time in the kind of magazines that still print poetry (there’s one of his in this week’s Spectator). He was born in 1949, and Peterloo Poets published a collection of his work under the title Drugstore Fiction in 1987. Having read my piece on Chet Baker, he sent me this. I wanted to publish it before the summer ends, and he was kind enough to give me permission. through millions of miles to inflame and sting. and the needle life some other loser’s story. umbrellas, and Mr Chet, lyrical, pure and cool. could end, that time, that childhood. but my eyes brim, my throat swells to closing. as if these moments never will end. In the early days of The Blue Moment, I published a poem called “The Cool School”. Roy Kelly, the poet in question, wrote this new one in San Francisco last summer, several months before the announcement that, on February 2, Bob Dylan will release an album of songs associated with Frank Sinatra, called Shadows in the Night, previewed on bobdylan.com by a version of “Full Moon and Empty Arms”. and so ordinary, all the hours and miles to home. was where they entered your heart and soul. leaving you wondering how he arrived there. and the blessed ordinary magic of songs. About a year ago I invited the trumpeter and composer Ambrose Akinmusire to listen to the four short blues songs sung in 1939 by Mattie Mae Thomas, an inmate of the women’s wing of the Mississippi State Penitentiary at Parchman Farm. She sang them into a recording device set up by Herbert Halpert, a musicologist from the Library of Congress, in the prison’s sewing room, where the female inmates made uniforms and bags for collecting cotton. Unheard by the outside world until 1987, when they were released on a LP by the Rosetta label, these unaccompanied songs are just about as deep and powerful as any blues singing I know. (Here’s one of them: “Workhouse Blues”.) And they are all we know of Mattie Mae Thomas. No details of her life have survived. We don’t know where she came from, how old she was, why she was in prison, or what became of her. All we know is that voice, with its astonishing strength, self-confidence, and nuanced phrasing. After listening to her, Ambrose accepted a commission to create a piece for the 2017 Berlin jazz festival, my last as artistic director. He told me that Mattie Mae’s voice reminded him of his grandmother, who came from a small Mississippi town called Drew, not far from Parchman Farm, singing in the kitchen when she visited them in Oakland during his childhood. His mother’s middle name, he told me, was also Mae. She had picked cotton as a girl and left Drew to move to California as soon as she could. When he suggested that they make a visit to her old home, she declined. She never wanted to go back there. In the months between our meeting and his arrival at the festival in the first week of November, I didn’t ask Ambrose any questions about the nature of the piece. All I knew was that he would be bringing a specially assembled sextet including the guitarist Marvin Sewell, the pianist Gerald Clayton, the bassist Joe Sanders, the drummer Kendrick Scott, and the singer Dean Bowman. Once they were in Berlin, I didn’t even go to their rehearsal. I wanted to be surprised. And I was. The 70-minute song cycle, called MaeMae, contained elements of all the rich sophistication that characterises Ambrose’s music, but dialled right down so that what emerged was a restrained, often sombre, blues-drenched meditation on the music and the culture of the Delta and its echoes in the present day. Samples from Mattie Mae Thomas’s recordings emerged like ghost fragments, lying against the music or integrated into it. Variations on her phrases were sung by Bowman, who sometimes shaped his tone to evoke the texture of voices heard on old shellac 78s and at others ululated to dramatic effect. In one section he explored other hallowed blues motifs (“Another man done gone…”). The piece took a while to settle — this was a new band, and a new piece — but before long Kendrick Scott was exploring a deep rhythmic pocket, a master drummer of the 21st century channeling the Chicago blues backbeats of Sam Lay and Fred Below. Marvin Sewell played a magnificently eerie unaccompanied bottleneck solo that paid homage to the masters of the Delta blues. Ambrose, the most eloquent of today’s trumpeters, announced the piece with an unaccompanied liquid fanfare but held back in his solos with a masterful sense of economy. For me, MaeMae is a composition that involves itself in some of the deepest currents flowing through this period of history, a time in which old battles are suddenly needing to be refought. I hope its life is not confined to a single performance on November 3, 2017 in the Haus der Berliner Festspiele, because it deserves a chance to evolve and deliver its message to the widest possible audience. And to make Mattie Mae Thomas live again. Now here’s the rest of what I’ve particularly enjoyed this year. Two of the most interesting jazz-related books of recent years have an author in common. He is Pierre Briançon, a French journalist who lives in London and works as a senior financial commentator for the Reuters wire service. The first book, San Quentin Jazz Band, written in French and published by Editions Grasset in 2008, tells the story of some of the musicians who ended up in the eponymous California prison in the late 1950s and early 1960s, on a variety of drug-related charges. They included the saxophonists Frank Morgan and Earl Anderza, the trumpeters Dupree Bolton and Nathaniel Meeks, and the pianist Jimmy Bunn; it’s a pretty amazing and important piece of work, shining a light into the corners of the lives of some of the talented men who fell victim to what amounted to a plague. While planning the book, Briançon came across the piece I’d written about the hitherto mysterious Bolton for Granta in 2000. (With the aid of a private investigator, I’d established for the first time that he was actually dead — and unearthed his birth and death certificates, plus other pieces of evidence from his life, including photographs from an old girlfriend.) Pierre and I met and shared information, and I was quickly impressed by his seriousness and willingness to do the necessary digging. During his research in the prison’s archives he uncovered a great deal of new information. It still surprises and disappoints me that no one has seen fit to publish an English translation of this remarkable work, written with an acute sensitivity to the social forces of the time. His new book, written in English, is called Romance in the Dark. 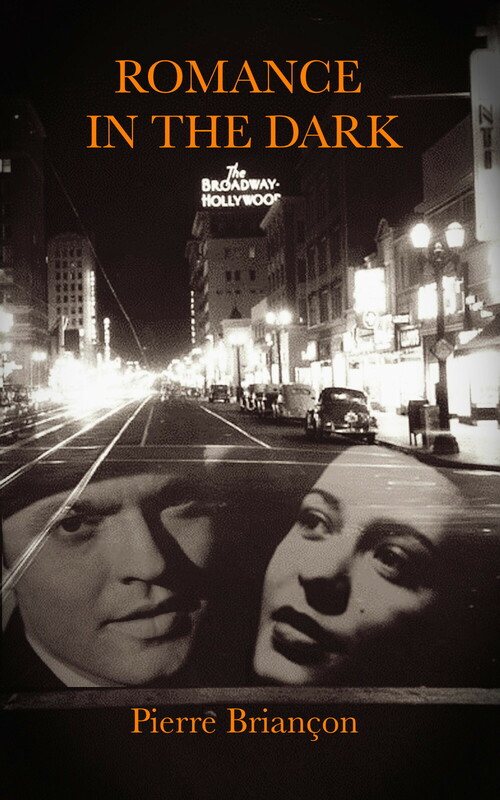 A novel, it is an imagined account of the relationship between Billie Holiday and Orson Welles, one that is mentioned by Holiday in her highly unreliable autobiography and appears to have begun in 1941. Briançon starts his narrative inside the head of the trumpeter Shad Collins, who is driving a New York City taxi cab one day in 1972 when his memories are triggered both by a chance remark from a passenger and the sight of the poster for the lamentable Lady Sings the Blues. He reminisces about witnessing that initial encounter between the singer and the director, a few days after he and Lester Young had recorded a handful of sides with Holiday, including “Romance in the Dark”. The meeting occurred at the Chicken Coop club in Harlem, at a party following the premiere of Welles’s production, with his Mercury Theatre company, of Richard Wright’s Native Son, which starred the Chicken Coop’s owner, the actor Canada Lee. Billie was something else. Shad loved her, as a best friend. Used to call him Lester junior, even though she didn’t call the other Lester Lester. Prez was what she always called him. But Shad was born Lester Rallington Collins after all, didn’t even remember where the Shad came from except that Lester – Prez – had been the first to call him that, when he’d joined the Basie band and they became buddies. Had stuck ever since. Prez, that’s a man who would have done anything for Billie. Shad never knew whether they’d had a fling, never dared to ask. They weren’t the kind of people you’d question about it. Probably not. Once, as the band was chilling after a concert at Kelly’s Stables, one of the boys had tried to make a joke about it. Prez was cleaning his horn, shot him a glance you’d never forget. Silenced the dude right there and then. Briançon brings other witnesses back to life to the page, including the philanthropist Caresse Crosby, the actor Everett Sloane, the dancer Ruby Helena, Billie’s husband Jimmy Monroe, the screenwriter Cy Endfield, the gofer Shorty Chirillo and the pianist Joe Springer. Their voices are heard in the form of interviews, diaries, unpublished autobiographical manuscripts — and, in the case of J. Edgar Hoover, in the form of FBI files on Welles’s professional and personal relationships with black people and his possible communist sympathies. The book ends with the very noirish scene of the drummer Roy Harte (later a co-founder of Pacific Jazz Records in Los Angeles) scoring cocaine for Holiday in a Havana bar in 1943. Nineteen years old, befriended by the singer in New York, he is now accompanying her and her friend Greta Knox, an actress, around the clubs of the Cuban capital. Here, as everywhere, the level of historical and circumstantial detail is again impressive, contributing to the pungent period flavour and the inconclusive but nevertheless compelling story. By the time I’d read a few chapters, I’d completely stopped worrying about what was real and what was invented. Briançon is looking for an English publisher. Meanwhile he’s put it up on Amazon in the form of a Kindle edition, which will cost you £2.99. The text is as it came off his keyboard, with the occasional little glitch and minor error that an editor would sort out (for instance, Richard Wright appears at the first mention as Robert Wright). But you can make allowances for that, as I was happy to do, in order to enjoy this valuable addition to the genre that includes Michael Ondaatje’s Coming Through Slaughter and Geoff Dyer’s But Beautiful. I think it’s something special. The four studio albums recorded under the Memphis-born trumpeter Booker Little’s name between 1958 and 1961 were issued by four different labels. It’s always been my feeling that if he had signed a contract with Blue Note Records early in his career, his reputation today would more than match that of Lee Morgan, Freddie Hubbard or Donald Byrd. But they did and he didn’t, and after his untimely death from uraemia, a kidney disease, at the age of 23, the piecemeal nature of his recorded output somehow prevented him from acquiring the stature he deserved. For many years those four albums were hard to find and expensive to acquire. You might have gone without a few meals to buy one. Now, thanks to European copyright laws, all four are available in a single 2CD package for which I paid £12 the other day. Those copyright laws are problematic in some respects, but when they make it possible for independent companies to reissue music like this, in which the corporate successors to the original labels have seldom shown any constructive interest, it’s very hard to argue against them, so I won’t. The original albums in question were called Booker Little 4 & Max Roach (United Artists, recorded 1958), Booker Little (Time, 1960), Out Front (Candid, 1961), and Booker Little and Friend (Bethlehem, 1961). The package in which they are assembled, titled Complete Recordings: Master Takes and issued on the American Jazz Classics label, has been put together with evident care, reproducing the original sleeves and notes, with full recording details and extra pictures. The first of them reminds us that Little came to prominence as a member of the Max Roach Quintet, whom he joined just after his 20th birthday, following studies at the Chicago Conservatory. He made several albums with that band, and his qualities as a soloist were obvious from the start: his clean articulation, bright, burnished tone, rhythmic agility and harmonic acuity made him the obvious successor to Clifford Brown. And at a time when skilled hard-bop trumpeters were not exactly thin on the ground, his playing was immediately identifiable. The Time album is by a quartet, with Wynton Kelly or Tommy Flanagan on piano, Scott LaFaro on bass and Roy Haynes on drums, and it still sounds pristine. But the remaining albums are the real jewels, since they place his improvisations in the context of a developing compositional gift. They feature sextets, both including the trombonist Julian Priester and the pianist Don Friedman, with Out Front also including Eric Dolphy and Max Roach while Booker Little and Friend (a coy reference to his trumpet) features George Coleman and another great drummer, Pete LaRoca. Little’s 14 tunes on these albums are distinguished by a gift for lyricism that was not always to be found in the composers of the post-bop era; perhaps the nearest equivalent would be the great Benny Golson, who also achieved a song-like quality in his themes for hard-driving horns-and-rhythm combos. Little, though, was a more sophisticated thinker than Golson. In pieces as breathtakingly gorgeous and structurally fascinating as “Forward Flight”, “Strength and Sanity” and “Moods in Free Time”, written in his very early twenties, there are unmissable signs of boundless potential. His partnership with Dolphy would no doubt have borne further fruit. They were ideal partners, utterly dissimilar in instrumental style but clearly on the same musical and intellectual wavelength, as can be heard on Dolphy’s Far Cry, recorded for Prestige in December 1960, and in the three volumes of live recordings by their quintet, taped in July 1961, just three months before his death, and released as Eric Dolphy at the Five Spot (now also available in a complete edition, from Essential Jazz Classics). Among the last things he played on, as a sideman, were John Coltrane’s Africa/Brass and Max Roach’s Percussion: Bitter Sweet. Wherever jazz was heading in that turbulent and exhilarating era, he was going to be part of it. We’ll never know what he might have achieved in the years that a fatal illness denied him, but the four albums under his own name — brimming with the amazing clarity of his playing and a talent for exploiting the resources of a small group — are evidence of a remarkable artist at work. It’s a legacy that all jazz fans should know about. 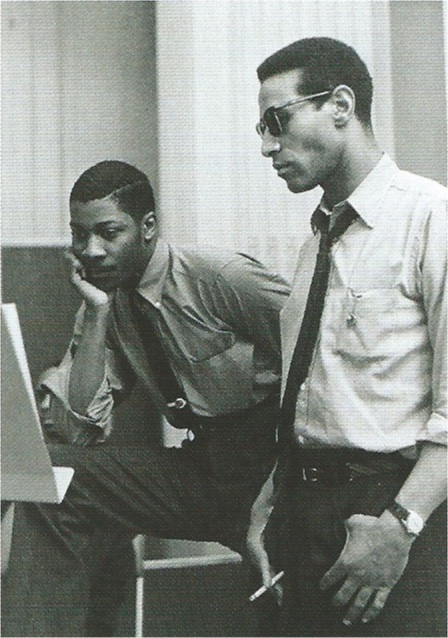 * The uncredited photograph of Booker Little (left) and Max Roach is taken from the booklet accompanying the American Jazz Classics package.